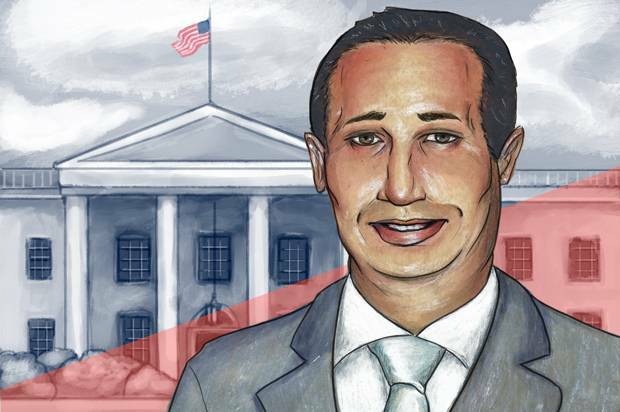 Felix Sater — the Russian-born, real estate mogul who helped build Trump Soho — once looked to hire a journalist for $1,000 a month to post and blog negative stories about an enemy. Randi Newton, currently a dating columnist for the New York Observer, met with Sater for an hour four years ago to discuss the job offer. “I had responded to an ad for content. This man, Peter, said he was working with Felix Sater,” Newton told me. She eventually met with Sater for more than an hour. “He was very charismatic. He said he worked with Trump,” she recalled. Newton said she was instructed to post her “take-down pieces” from different Kinko’s (FedEx Office stores) around the city so she couldn’t be traced by IP addresses. Sater, former managing director of Bayrock Group LLC, is a central figure in special prosecutor Robert Mueller’s investigation of President Donald Trump’s ties to Russia. In January, Sater met with Trump’s personal lawyer, Michael D. Cohen and Ukrainian politician Andrey Artemenko at the Loews Regency to discuss a peace plan for Ukraine. “With the number of intelligence agencies that Mr. Sater has worked with, to think he suggested Kinko’s as a workaround for IP masking when inexpensive simple anonymizer software accomplishes the same goal puts this entire story in question,” Sater’s spokesman Ronn Torossian said. After an internal review, Facebook on Wednesday disclosed to Senate Intelligence Committee investigators that it unwittingly sold about $100,000 in political advertisements to fake accounts believed to be operating out of Russia. The detail has opened up new speculation about the extent to which social media companies were unknowingly part of Russia’s efforts. The roughly 3,000 ads were purchased between June 2015 and May 2017, the company later confirmed in a blog post, and mostly focused on “amplifying divisive social and political messages across the ideological spectrum” rather than specifically referencing the presidential election. Sen. Mark Warner (D-Va.), the top Democrat on the committee, has requested similar information about ads from Twitter, anticipating that Facebook’s disclosure could be just “the tip of the iceberg.” The Democrat has also suggested that Congress could pass legislation that would institute disclosure requirements for social media advertisements. “I think the public needs to know what kind of misinformation and disinformation might be appearing on their Facebook news feed or their Twitter news feed,” Warner told CNN on Wednesday. Warner confirmed that Facebook said that it traced the activity to an Internet “troll farm” operating out of St. Petersburg. Facebook, which has since deactivated the 470 accounts in question, has already reportedly shared the findings of its internal investigation with Mueller.